Notice is given for the departure of the Clarksville Victory for December 12, 1945. Photo credit: Nelson Schumacher. 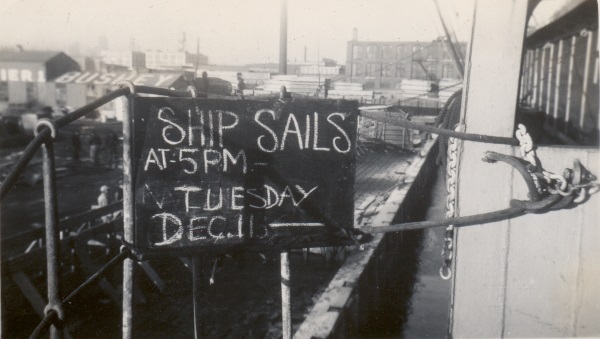 Notice is given for the departure of the Clarksville Victory for December 12, 1945.